Are you embarking on the challenging journey to plan a funeral or memorial for a loved one? You will be faced with many decisions, but it is important to remember that you don’t need to navigate the industry without support. 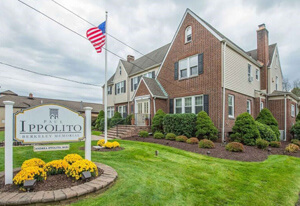 Our team at Paul Ippolito Memorial is here to assist with anything that you need. 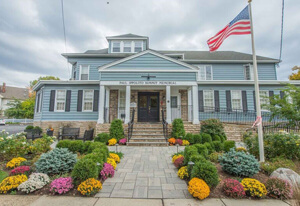 We believe that every family should have access to caring, respectful funeral and cremation services in Chatham, NJ. One thing that makes our company unique is the range of services that are provided. We understand that every family is different, so the funeral plans need to be catered based on the requests of the families. Instead of assuming that you prefer a traditional burial, we keep the conversation open so that you can learn about the full range of funeral solutions. One of the first decisions that should be addressed is whether you plan to hold a gathering for friends and family. If you want to meet together, then you need to decide on the size of the group and where the event will be held. Some families cringe at the idea of planning a funeral because they don’t want to have a formal event in an uncomfortable location. But, there are many times when it makes sense to provide comfort by maintaining the family and religious traditions. Even if you prefer an informal gathering, you should remember that the meeting time is an opportunity for people to begin the recovery in their grief. Both friends and family members need a time where they can look for closure, say goodbye to the loved one, and share memories with others who knew the deceased. Even though it might be uncomfortable to face the emotions that come up in a funeral or memorial, it can be an important step to help people work through the grief. Did you know that burial is available for both cremation and remains that are placed in a casket? Many people assume that a casket is the only way to place the remains in a cemetery. But, you can also pair cremation with burial if desired. Immediate Burial: The remains are placed in a casket, then laid to rest in the cemetery as soon as possible. No funeral or public service is scheduled before the casket is buried. Visitation: Sometimes referred to as a viewing, calling hours, or a wake, this gathering is a time when family and friends can meet together in a room with the casket. You can choose an open or closed visitation, depending on the preferences of the family. Memorial or Funeral Service: One of the most common funeral plans is to hold a funeral or memorial in a church or at a funeral home. This ceremony is a time to honor the life of the deceased. Traditions can be maintained as desired by those in attendance. Or, families can choose a unique plan that highlights the requests of the deceased. Graveside Services: Finally, there is an option to hold a small service at the gravesite before the casket is lowered into the ground. This graveside meeting is often paired with the funeral and procession. 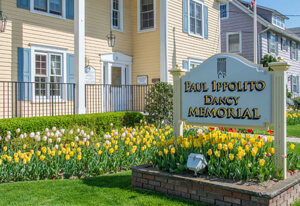 When you are talking to our team at Paul Ippolito Memorial, keep in mind that we strive to provide the complete range of funeral and cremation services in Chatham, NJ. You can choose a traditional funeral plan if it matches the needs of your family. Or, you are welcome to talk to us about cremation and other alternatives. One common myth about cremation is that it can’t be planned with a funeral service or viewing. But, the truth is that you have the flexibility to choose the way the cremation fits with the other funeral services. Cremation is only the way the physical remains are cared for; it doesn’t dictate the way you should plan the events. Memorial or Funeral: The funeral is held with the body present in a casket, before cremation. A memorial is held after the body is cremated. Graveside Services: If the ashes will be buried in the cemetery, then consider having a traditional graveside service. Scattering: Spread the remains over water, at a cemetery, in a memorial garden, or anywhere else that is meaningful for the family.